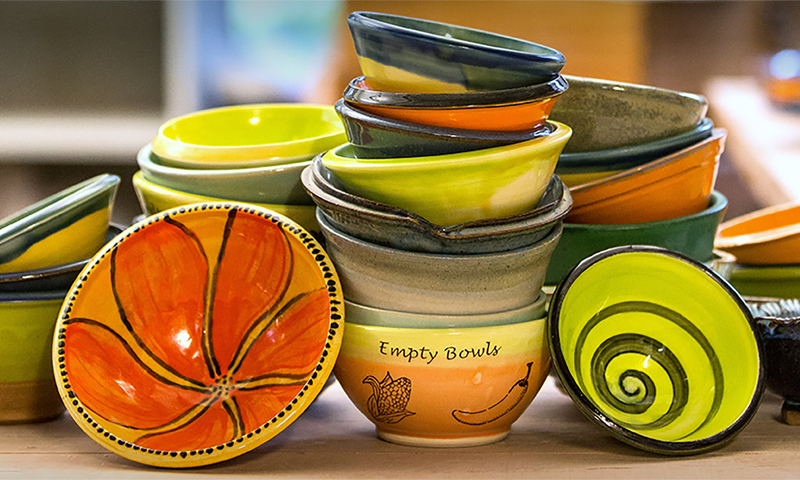 Empty Bowl projects bring together people who are passionate about the cause of feeding the hungry. 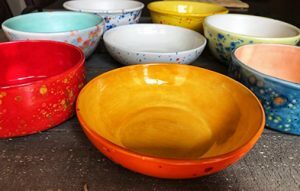 The bowls for the Brenham Empty Bowls project were artistically crafted by volunteers from many communities, near and far. A loving supporter in Oregon held two bowl painting parties, with many local artists. The volunteers painted enough bowls to do 4 firings. 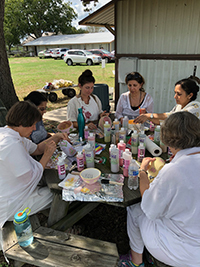 Artistic ladies from Lydia’s House enjoyed a painting party as they lovingly decorated bowls.